Well done to our Boys Junior football team who reached the ‘A’ final of the blitz held in Lucan Sarsfields last week. 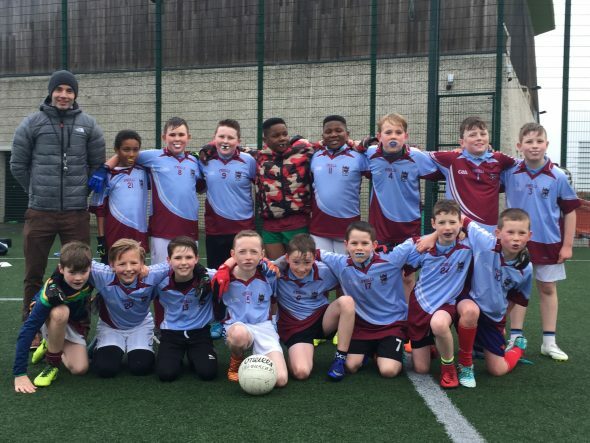 The boys won their opening 3 games securing victories over Scoil Áine, Divine Mercy and St Mary’s BNS to earn a place in the senior final against the also undefeated Gaelscoil Naomh Pádraig. Our lads battled hard in the final but were eventually beaten by a very strong team. Congratulations boys, you’ve done Scoil Mhuire proud!